Wow, I gotta say I wasn’t expecting Escape from LA to take the top spot. I’m also surprised that Ghostbusters 2 didn’t make it. I had a ton of requests for it but when voting time came, it was passed right over. So the winners are Escape from LA, Sleepaway Camp. In the Mouth of Madness, and Dredd. It looks like 3 of the 4 of these are going to be Exploring episodes. Yikes, I’ve got a lot of work to do. Thanks to everyone who voted! These will be out in January! Vote for your top 4! All right the requests are counted and here are the top 20 most wanted. (out of almost a thousand requests!) Over on the left of the page is the poll. Select the top 4 you want to see and in a week, I’ll announce the winners for this year, which will get episodes starting next January. 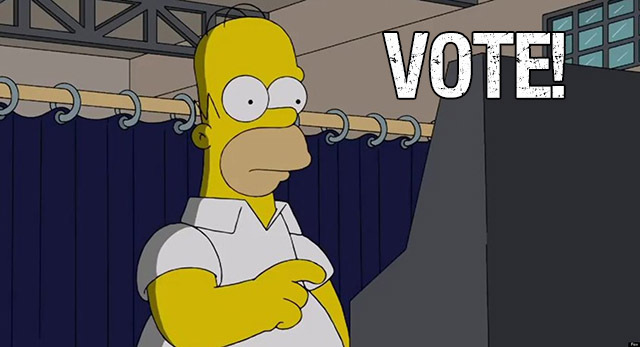 Check all 4 of your picks before you click “Vote”. Some great picks as always! Also, Nightbreed did make it into the top 20 but I was already planning on doing that one and I know I won’t be ready for it in January. So, expect that one around spring of 2015. The 4th Annual All Request January! 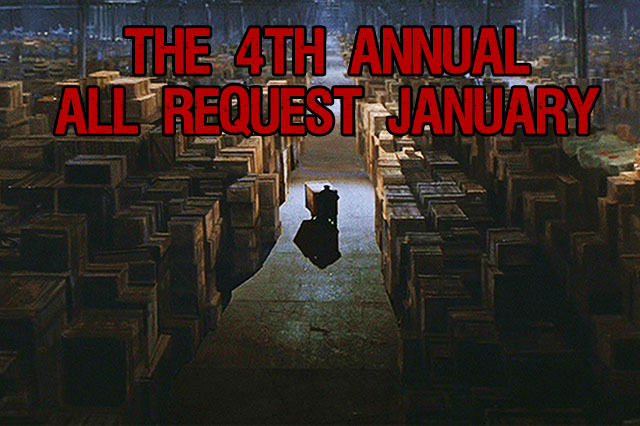 It begins again, the 4th annual All Request January! Last year was Howard the Duck, Gremlins 2, Phantasm, and They Live. What will be the winners this year?